Some days we just don’t have time, those extra 15 minutes in bed are way more worthy than a full face of makeup. 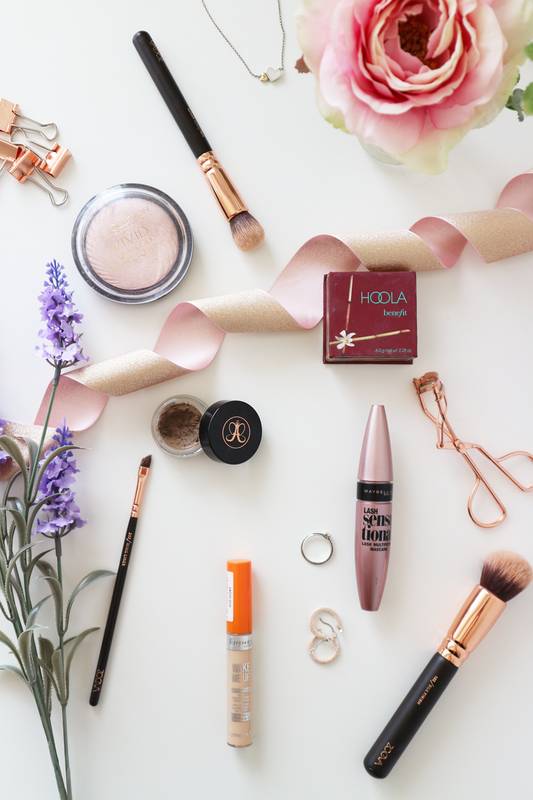 With that in mind, I’ve created the perfect 5 product face – 5 products to give a full make-up look but in half the time. First up, if I’m late I’ll skip foundation all together and go straight in with concealer. The Rimmel Wake Me Up Concealer is the best for coverage and lightness. As much as I adore Collections concealer, sometimes it’s just too heavy on it’s own. I can’t leave the house without my brows, so the Anastasia Brow Pomade is a must. Next is a toss-up between bronzer and blush. Over the summer months I’ve been going for Benefit Hoola to add some colour and sculpt my face a bit, but if I’m feeling it I’ll switch this in for Benefits Coralista instead. Now, a girl gotta have that poppin’ highlight right? I’ve been using the Make-up Revolution Vivid Baked Highlighter all summer. To finish the look I’ll pop on my fave mascara Maybelline Lash Sensational. And you’re done! You got those extra 15 minutes of shut-eye and still managed to leave the house with a spot of make-up on. What are your must-have makeup products when you want that little extra sleep? See more of my beauty posts here! "The skirt that doesn’t fit"